Sinclair Cleaning Systems is a complete sales and service provider to the disaster restoration, floor cleaning, janitorial and car detailing industries. We have proudly served the Ontario market for over 35 years. We supply an extensive range of quality products and manufacturers offering solutions for every size of business. Our suppliers are worldwide industry leaders in research and development, technical expertise and safety. Many of these products are sold exclusively by Sinclair Cleaning Systems and were painstakingly sourced to provide you with the very best performance. Let our team of sales professionals help you. 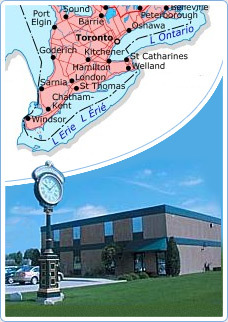 We have been helping our customers throughout Ontario for over 35 years.